Thank you for submitting your item for appraisal. 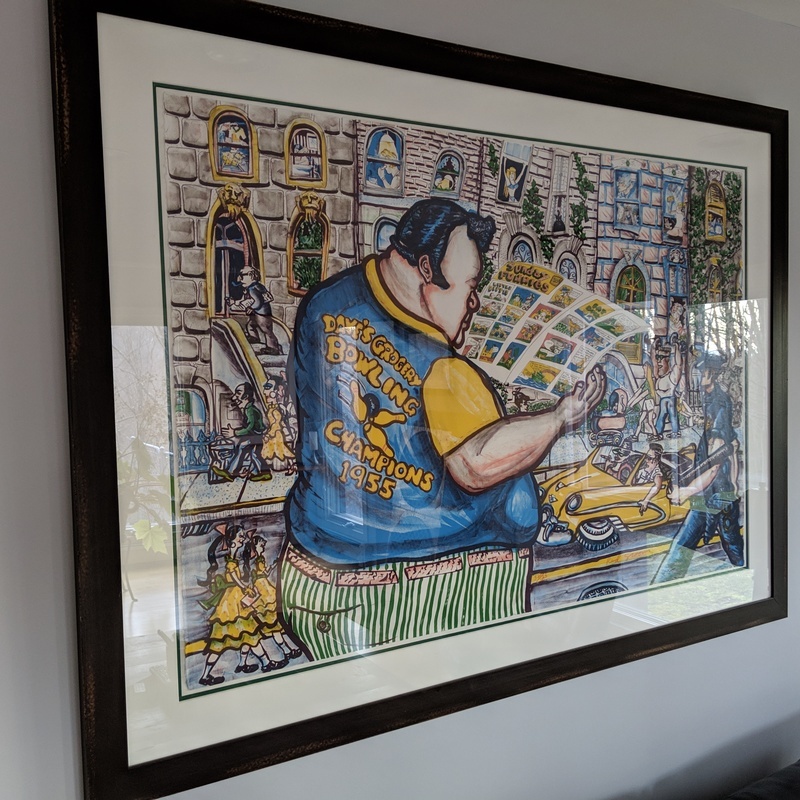 This appears to be a lithograph and photolithograph by Red Charles Roger GROOMS, American (1937 - ) titled "sunday funnies", edition size 125 plus artist proof prints. Identical prints were offered and sold at auction in the past. The estimate is based on these auction results, prices in the trade are usually higher and can vary. There is no measurement for the sentimental value you might attach to the item.